Jason, director of Brush Strokes Painting & Maintenance Service has over 27 years experience in the painting industry, so whether its a fresh lick, coat, or touch up we are the ones to call on. My subcontractors are chosen to my highest standard of workmanship. No job is too big or too small - Jason can allocate great subbies to help with the big projects to get the job done on time. He prides himself on creating a happy team environment and leaving customers satisfied. 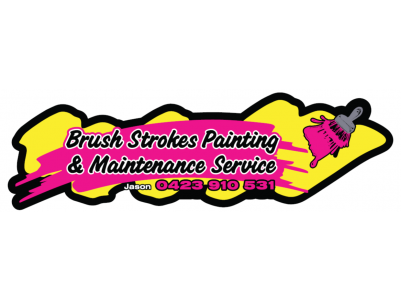 For more details see our webpage at brushstrokespaint.com.au or check out our reviews on Facebook. Did you know that we also build decks, pergolas, patios, and have a cleaning business to help you through the weekly grind? Seniors discounts also may apply. Don’t hesitate to give us a call for prompt reliable service - 042 3910 531.